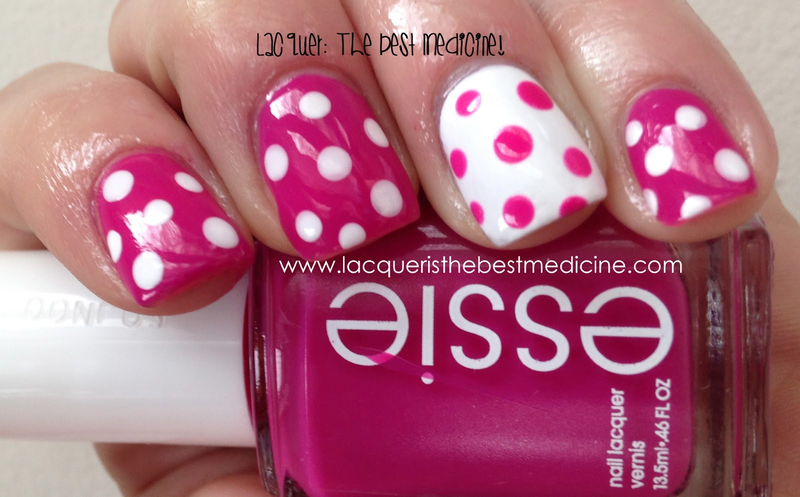 So, I loved my blue/white polka-dot mani so much that I did another one in pink, and added some fun stuff on my accent nail :-) Check it out! 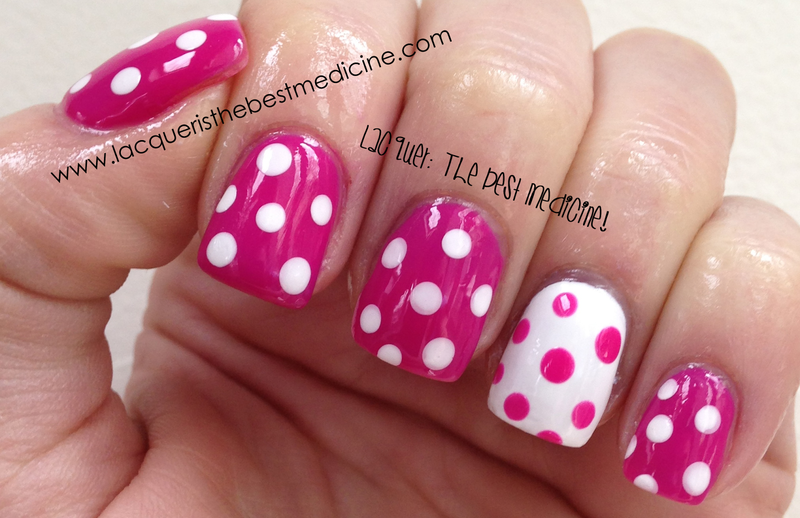 Polka Dots: same two colors! 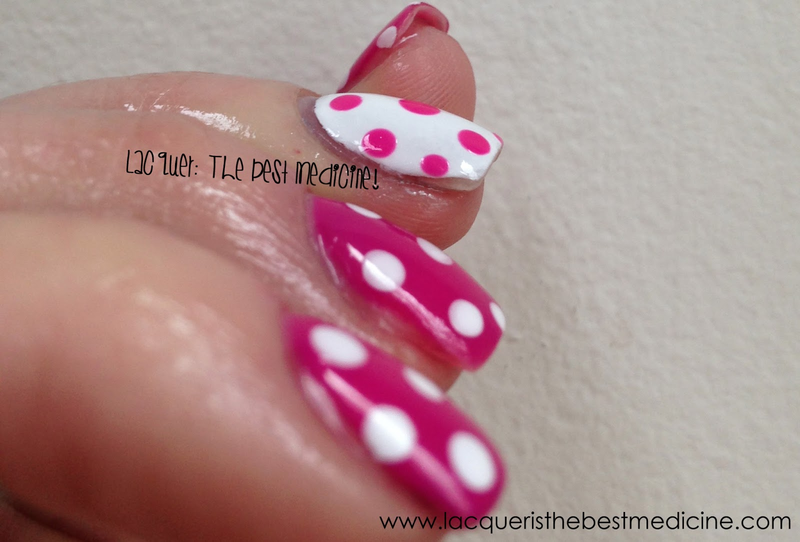 I used my largest dotting tool to put on the polka dots, and used one of my nail art brushes (long, thin bristles) to outline my accent nail to achieve the cartoon look that I keep seeing as of late! I only got one good picture of the finished accent nail - but I actually think I like the manicure better without the cartoon outline! What do you guys think? P.S. Make sure you enter the GIVEAWAY I am co-hosting with Miss Mani Monster! Stopping over from the North East Bloggers hop. Now, as a guy, this usually wouldn't do anything for me. But I have to say this was interesting. Why? Holy cow is that detailed. 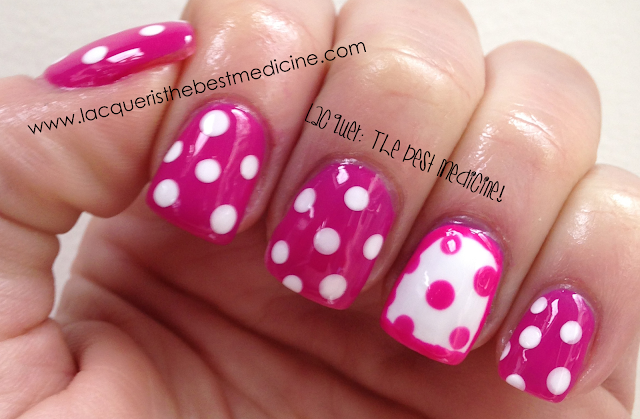 I really am impressed by you ladies that can do stuff like this on your fingernails! Wow those look great! I love the accent nail with the opposite colors! Happy Sunday! I love this!! 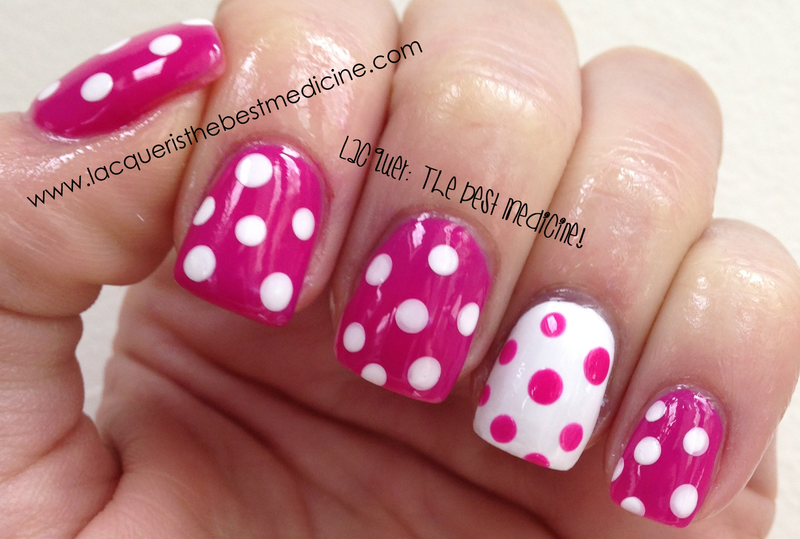 My favorite color is pink and i love polka dots!! !